The name of a brew sets an expectation. It should represent what you will experience. 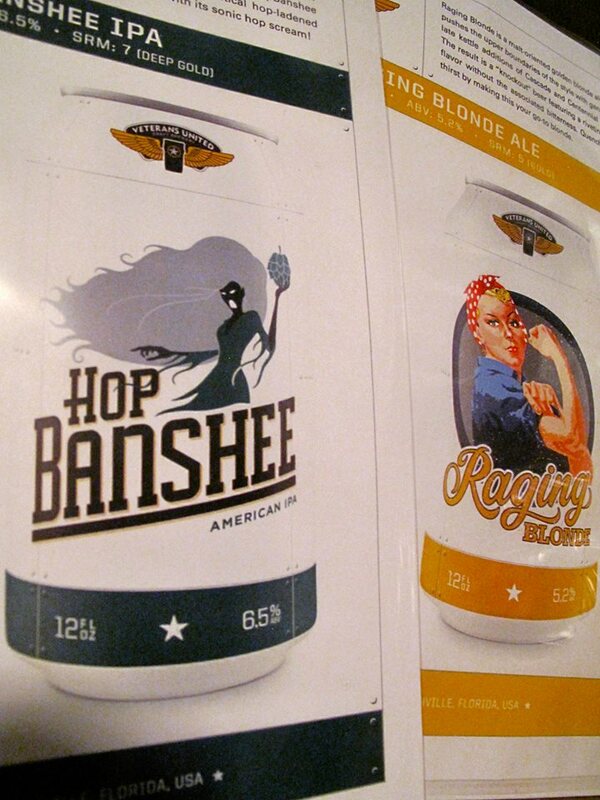 What do I expect from two great names such as Raging Blonde Ale and HopBanshee? An ale that makes me want to tear through a field at dawn, not caring that I’m getting bugs in my teeth and being scratched by stalks of wheat or corn, or whatever fields are made of. (Apparently in this scenario, I’m in the Mid-West.) I expect an IPA that’s so hop-full, I lose my delicate modesty and begin wailing like the crazed hop head I’ve become. We’ll get our chance to find out how true these names are when Veterans United Craft Brewery has its grand opening. The plan is to open in July 2014, but this is contingent on getting their new equipment. They will post updates on their Facebook and Twitter accounts. According to Ms. Bradford, the special release and seasonal beers will be taproom-only, but they hope to eventually distribute these limited release and seasonal beers to the retail market. Of course, they’ll have their year-round staples that will be distributed in Jacksonville, and the locations will be available on their website. Their beers will be available via kegs, growlers, and cans. They are setting up shop in the heart of Southside, which means the heart of what I call the Office District. I predict many crowded evenings (and probably many crowded weekends, too). It won’t be far from good restaurants, too, in case you don’t want to drink on an empty stomach. Regardless of whether you’re an office dweller like me, seeking respite and good beer, or looking for a little space from our already crowded “Beer District,” you’ll soon have a new choice off of Baymeadows Rd. in the Southside of Jacksonville, FL.